Nada Ristich, director, corporate donations, explains, “Charitable giving goes back right to the beginning of BMO’s 200-year history, and our first recorded donation was to the Montreal General Hospital in 1835.” In fact, a 1927 Supreme Court of Canada ruling in BMO’s favour regarding a donation to the Royal Victoria Hospital paved the way for philanthropic activity in general in this country. This mechanism has resulted in a seemingly endless giving list, which in this province alone includes donations to the BC Cancer Foundation; Simon Fraser University; and many millions more to causes almost too numerous to mention. 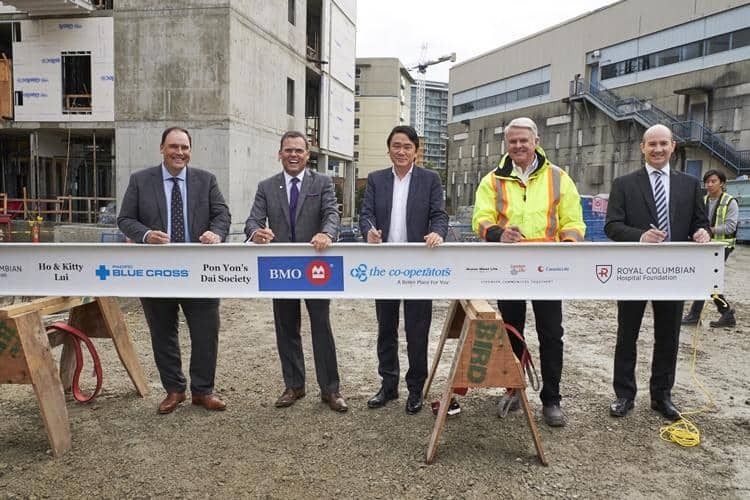 BMO also provides annual sponsorships like the BMO Vancouver Marathon and the Vancouver Whitecaps. Much of this money provides unique solutions to regional problems, case in point: a recent donation to the University of Victoria is for a program that will enable teaching staff to connect to prospective learners who live too far away to physically access the campus. Topics such as “Indigenous peoples, mental health and our continued support of the defence community are some of the important areas we care about,” says Bonner.